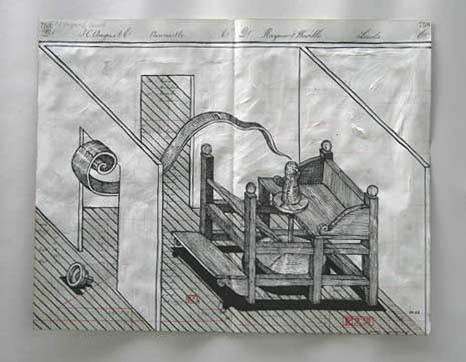 Edward Allingtons’ drawings are based on found ledgers for example, where a history, often to do with manufacture, is implicit. Allington is a leading UK sculptor, best known for his public projects with strong classical, humorous references. 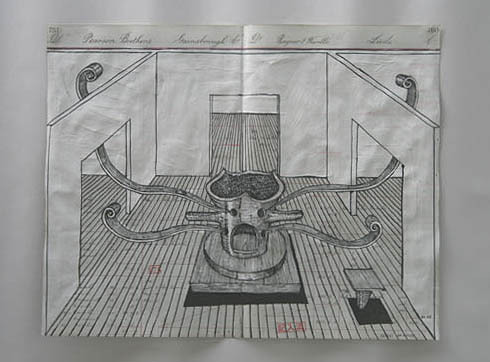 Edward Allington was featured in Contemporary Art Society’s ARTfutures 2008 at Bloomberg SPACE.